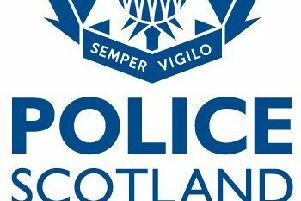 A driver had to be cut from his car yesterday evening after a collision with a lorry on the A701 near Broughton village. The accident happened at about 6.20pm on Monday, March 12 and the road was closed for almost six hours. The fire service and an ambulance were at the scene, and firefighters had to cut the injured driver from their vehicle before they were taken to Edinburgh Royal Infirmary. He suffered chest and arm injuries, and while he remains in a serious condition, his injuries are not thought to be life-threatening. Another person was treated at the scene by paramedics. The vehicles were uplifted from the scene just before midnight, and the road was reopened soon after.